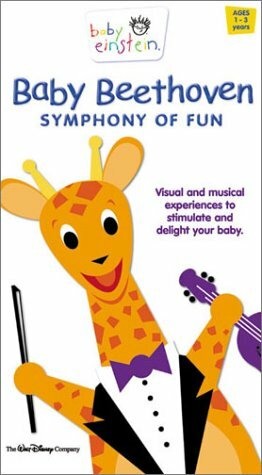 BABY BEETHOVEN(TM) SYMPHONY OF FUN is a captivating experience that exposes babies and toddlers to the beauty and benefits of classical music while mesmerizing them with stimulating, colorful images. Both you and your little one will love these enchanting versions of classic compositions by Ludwig van Beethoven. BABY EINSTEIN(TM) uses real-world objects, music, art, language, science, and nature to introduce young children to the world around them in fun, fascinating ways. All our videos are set to music specially reorchestrated for little ears. We encourage you to watch with your baby and enjoy the sights and sounds together.